What you accomplish in life all depends on what kind of person you are. If you make the effort to become a better version of yourself, you can probably hit the lofty goals you set for yourself in life. But if you can only come up with excuses for your lack of effort, don’t expect to achieve greatness in anything, ever. In considering signing up for a martial arts class, you might question whether you are really cut out for it or if you want to subject yourself to the sweat and tears that come with such a commitment. That’s understandable, martial arts can be a scary thing. Hopefully, you will overcome your fear and start taking classes as soon as possible. 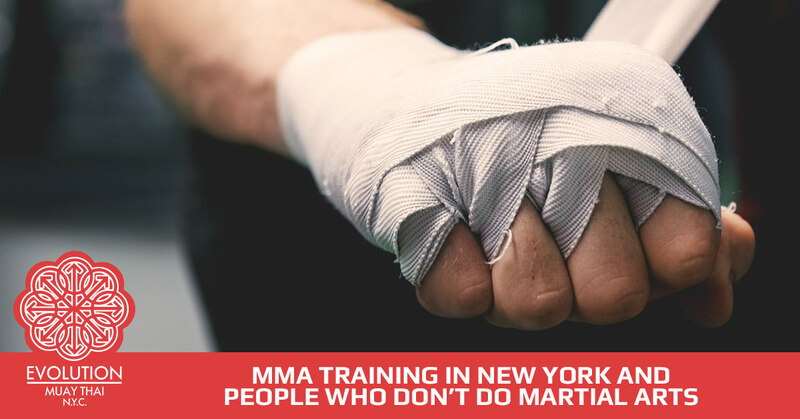 We can’t make the decision to take MMA training or a martial arts class at Evolution Muay Thai in New York, but we can tell you the type of people who should never do martial arts. It takes courage to face your fears. You need to have the emotional, mental, spiritual and physical strength to conquer your doubts, fears and insecurities and not everybody has that. Martial arts boosts your courage and helps you defeat what is keeping you down. If you don’t want to conquer your insecurities, then martial art classes are not for you. While you are taking MMA Training courses or other martial arts classes, you will be surrounded by people who are there to inspire you and push you to be the best that you can be. You will forge long-lasting friendships with like-minded people at the gym. Your quest for greatness will not be traveled alone, there will always be people there to help and encourage you. If you don’t want to make new friends and don’t wish to be inspired, then martial arts classes are not for you. Not everyone takes risks. Some people are quite content living a very safe and secure life. Of course, they will never truly know what they are capable of because they don’t take risks. Many of these people will never have their dream job or make the kind of money that are capable of because they are safe and secure in their current job and afraid to take a risk. The people who dare for adventure and who are all about taking risks are the ones who have that dream job, make good money and are satisfied with where they are at in life. They are also the ones you see taking MMA training and martial arts classes. Martial arts is a proven platform and community to get in your best shape and stay there. You train hard, eat right and look good in the process. If you have no interest in getting into and staying in shape, then martial arts is not for you. Make the move today and call Evolution Muay Thai NYC today. This entry was posted in MMA Training NYC and tagged Evolution Muay Thai NYC, MMA Classes, MMA Gym, MMA Gyms Near Me, MMA training, New York. Bookmark the permalink.